MUSCAT, Oman (AP) — Maximilian Kieffer played just three holes at the Oman Open on Saturday. He finished the day in the outright lead. MUSCAT, Oman (AP) — Sand proved to be a major hazard at the Oman Open on Friday. WARSAW, Poland (AP) — Israel's prime minister on Wednesday sent out a belligerent rallying cry to his Arab partners at a U.S.-backed Mideast conference, saying he planned to focus on the "common interest" of confronting Iran. Israel's prime minister says he plans on working with Arab countries at a U.S.-backed Mideast conference in Warsaw to focus on the "common interest of war with Iran." Benjamin Netanyahu spoke to reporters Wednesday shortly after meeting Oman's foreign minister, Yusuf bin Alawi, on the sidelines of the conference. DUBAI, United Arab Emirates (AP) — At St. Mary's Catholic Church in Dubai, an effort to transcribe the Bible in the native tongue of its flock saw the holy book presented in 52 languages — a sign of the cosmopolitan welcome awaiting Pope Francis' upcoming visit to the United Arab Emirates. ABU DHABI, United Arab Emirates (AP) — Iran and China will face off in the Asian Cup quarterfinals on Thursday after they both won their last-16 games, while Vietnam scraped through in a penalty shootout. ABU DHABI, United Arab Emirates (AP) — Civil war raging at home. Soccer players who struggle to play or get paid. A coach who never enters the country. It was not a surprise Yemen exited the Asian Cup after losing all three games. But just qualifying for the continental tournament for the first time was an achievement for a country in the grips of what the U.N. says is the world's worst humanitarian crisis. AL AIN, United Arab Emirates (AP) — Qatar thrashed North Korea 6-0 on Sunday and advanced to the knockout stages of the Asian Cup after the biggest win in this tournament so far. JERUSALEM (AP) — Israel's prime minister on Monday announced that Oman will open its airspace to Israel's national airline. SANAA, Yemen (AP) — A plane carrying some 50 Shiite rebels wounded in fighting in Yemen's civil war left Monday for neighboring Oman where they will receive treatment, according to officials, in a move that meets one of the conditions set by the rebels to participate in peace talks. BUCHAREST, Romania (AP) — The office of Romania's prime minister says the leader will visit the Gulf states of Oman and Qatar as part of a government initiative to strengthen ties between the East European nation and countries in the Middle East. JERUSALEM (AP) — Israeli Prime Minister Benjamin Netanyahu on Friday returned from an unannounced visit to Oman, the two countries confirmed, meeting the Gulf state's leader in the first visit of its kind in over 20 years. The surprise visit was an important accomplishment for the Israeli leader, who frequently boasts of warming behind-the-scenes contacts with Gulf Arab states. But there were few concrete details on his talks with Oman's Sultan Qaboos bin Said. DUBAI, United Arab Emirates (AP) — Forecasters say a tropical cyclone has formed in the Arabian Sea off Oman. Forecasters warn it could develop into a severe cyclonic storm with winds gusting to 135 kph (83 mph). They still aren't sure where it will make landfall. DUBAI, United Arab Emirates (AP) — Officials in Oman say two British women are dead and one British man is injured after being hit by a car in the sultanate. The Royal Oman Police said on Twitter on Friday the crash happened in Salalah near its Haffa market. It said the driver of the car did not have a license and an investigation into the crash had begun. Oman's Tourism Ministry identified the victims' nationalities. It said the British man hit was in a local hospital in a stable condition. NEW YORK (AP) — The Trump administration pressed ahead Friday with plans to create an "Arab NATO" that would unite U.S. partners in the Middle East in an anti-Iran alliance, but Qatar said the crisis among Gulf countries must be solved first. DUBAI, United Arab Emirates (AP) — Police in Oman say 10 members of a single family have died after suffocating in a fire at their home in the sultanate. The Royal Oman Police said on Twitter on Thursday that the fire happened at a home in the village of Khor al-Hamam in the country's Saham region. SANAA, Yemen (AP) — The U.N. special envoy to Yemen sought to downplay the significance of the failure of peace talks to start, saying on Saturday that he would head back to Yemen and neighboring Oman "within days" to try and agree on a new date. SANAA, Yemen (AP) — The United Nations-mediated peace talks on Yemen have stalled pending the arrival of the Shiite rebels who said they didn't attend because they were not guaranteed safe return after the discussions. The talks, meant to be the first between Yemen's warring parties in two years, were scheduled for Thursday in Geneva. A delegation from Yemen's internationally recognized government headed by Foreign Minister Khaled al-Yamani arrived but the rebels, known as the Houthis, have not. DUBAI, United Arab Emirates (AP) — An Indian shipping company says one of its crude oil tankers suffered an explosion off the coast of Oman, causing "two casualties" and injuring one sailor. WASHINGTON (AP) — President Donald Trump on Thursday seized upon an investigation by Senate Republicans that found the Obama administration secretly tried to give Iran brief access to the U.S. financial system after the 2015 Iran nuclear deal. This would have sidestepped U.S. sanctions still in place. Trump wrote on Twitter, incorrectly, that the efforts were "totally illegal" and called for an investigation. WASHINGTON (AP) — After striking an elusive nuclear deal with Iran, the Obama administration found itself in a quandary in early 2016: Iran had been promised access to its long-frozen overseas reserves, including $5.7 billion stuck in an Omani bank. To spend it, Iran wanted to convert the money into U.S. dollars and then euros, but top U.S. officials had repeatedly promised Congress that Iran would never gain access to America's financial system. DUBAI, United Arab Emirates (AP) — At a time when the United States hopes to exert maximum pressure on Iran, a regional bloc created by Gulf Arab countries to counter Tehran looks increasingly more divided ahead of the anniversary of the diplomatic crisis in Qatar. DUBAI, United Arab Emirates (AP) — Authorities say Cyclone Mekunu killed at least 30 people when it barreled across Oman and Yemen last month. DUBAI, United Arab Emirates (AP) — The death toll from Cyclone Mekunu that hit Oman and Yemen over the weekend rose to at least 13 on Monday, authorities said, as relief workers and aid arrived to hard-hit areas in the two Arabian Peninsula countries. Authorities in Oman say a fourth person has been killed by Cyclone Mekunu, raising the storm's overall death toll to six. Oman's National Committee for Civil Defense made the announcement early Sunday, without details on how the person died. SALALAH, Oman (AP) — Cyclone Mekunu neared the Arabian Peninsula on Friday as its outer bands dumped heavy rain and bent palm trees in Oman, a sign of the approaching storm's power after earlier thrashing the Yemeni island of Socotra. The Royal Oman Police says a 12-year-old girl has died after the winds of Cyclone Mekunu caused her to collide with a wall. The death is the first confirmed in the powerful cyclone. Police made the statement late Friday night as the cyclone neared Salalah, Oman's third-largest city in its south. 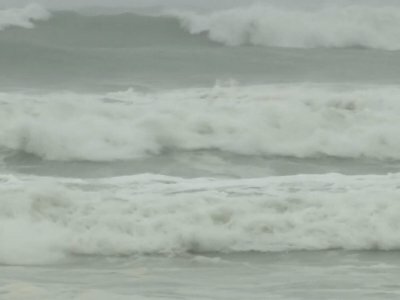 SALALAH, Oman (AP) — Cyclone Mekunu roared over the Yemeni island of Socotra in the Arabian Sea on its way to Oman on Thursday, sending torrents of water rushing down streets and sinking at least two ships. At least 17 people were reported missing in the powerful storm. 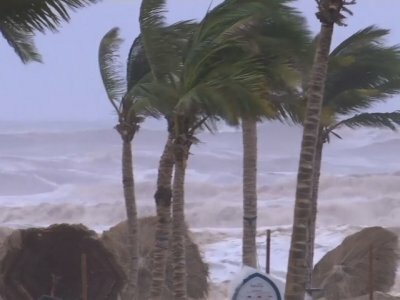 Indian meteorologists expected the "very severe" cyclone to strike Oman on Saturday near Salalah, the sultanate's third-largest city and home to some 200,000 people near the country's border with Yemen. Images circulated online from Yemen's Socotra island show soaking wet residents attempting to find shelter from Cyclone Mekunu, which pounded the area on its path toward Oman. The photos and video footage, which went viral Thursday, showed strong winds spiraling over the Middle Eastern island and rain, flash flooding and mudslides.